Home to the ancient Chola dynasty, and still the stronghold of Hinduism in the south, Tamil Nadu has a wealth of temple architecture unequalled perhaps in the entire world. The vibrancy of these ‘living’ temples is amazing& one is quickly aware of the central place that devotion to the spiritual aspects of life plays in people’s everyday lives here. Tamil Nadu is world renowned for its heritage rich huge temples with lofty gateways, intricate rock carvings, silk weaving, bronze sculptures, divine music and especially the most complex classical dance. The Tamilnadu c uisine is distinct from the rest of the country with its subtlety and innovative use of ingredients. Enjoy one of the World’s oldest and continuously practiced vegetarian cultures in existence. 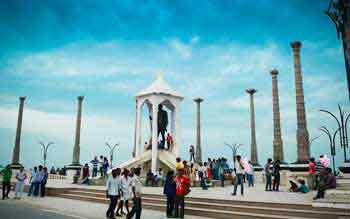 Formerly known as Madras, is the capital of Tamil Nadu and India’s 4th largest city. A real melding of cultures takes place here as a former stronghold of the British meets modern India in a charming, cosmopolitan city. Sightseeing highlights include Fort St George and a rich variety of museums, galleries, temples and churches. The Kalakshetra Dance School is open to visitors during the mornings to observe the classes in progress. Located just south of Chennai is Dakshinachitra Cultural Centre, an extensive collection of restored homes from around the Southern States with live demonstrations by local artisans. 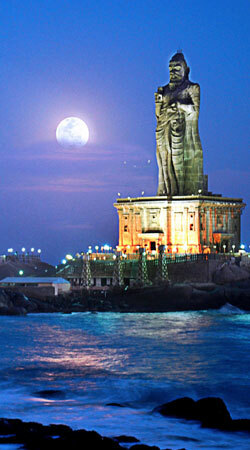 Only 90 minutes’ drive south of Chennai, this small seaside town is a very easy way to be introduced to India. A rich history has resulted in many notable sights including the 7th century rock cut Shore Temple and Arjuna’s Penance - the world’s largest bas relief carving, some 30 metres long. You can see stone carvers at work, enjoy a beach front restaurant serve freshly caught local seafood, have clothing personally tailored at very reasonable prices or just relax and enjoy the beach. This is one of India’s Seven Sacred Cities. Here you can visit Ekambeshwara Shiva Temple and the World Heritage Kailashanatha Temple, with small vegetable dye frescoes in the alcoves in the outer walls. Kanchipuram has a thriving silk weaving industry and many ladies from around India select their wedding Saris here. In the heart of the Cauvery River Delta lies the ancient Chola kingdom capital of Tanjore, still dominated 1000 years on by the truly majestic Brihadishwara Temple. The temple now carries UNESCO World Heritage status and is perhaps the crowning glory of ancient temple architecture in India. Also of note in Tanjore are the Palace and Museum; the latter houses an amazing collection of bronze statues and other art of the region. 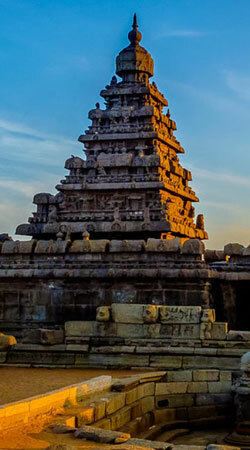 Also in this region are the World Heritage Temples at Gangaikondacholapuram and Darasuram, peaceful havens with few visitors, where one can marvel at the intricate stone carvings depicting Hindu legends and epics. 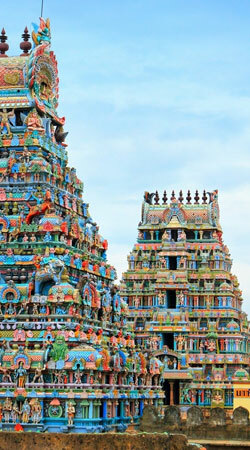 The Trichy city is dominated by the ginormous gopuram of the SriranganathaSwamy Temple at Srirangam. It is the second largest temple tower in Asia. 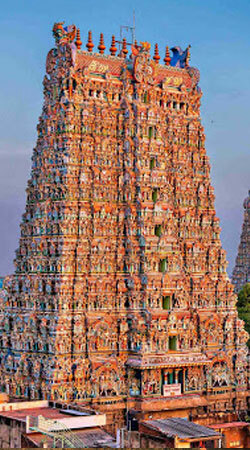 The temple sees millions of visitors throughout the year and is one of the 108 Divya Desams [holy cities] of Lord Vishnu. Other than the Srirangam Temple, the major sightseeing places are the Jumbukeeswarar Temple [one among the five PanchaBhoota Shiva temples] and the Rock Fort Temple. This small region in Tamil Nadu was home to a small but very active caste of merchants and traders. From the 18th century onwards they interacted with other trading groups from around the eastern hemisphere. The result is a unique amalgam of styles and cultures, and the houses of this area are staggeringly beautiful. The region also has a cuisine all its own which is a must - try for food lovers. Unique Heritage accommodation is available in a private palace of Chettinad Mansion and The Bangala where your hosts are happy to explain the interesting history of this region. 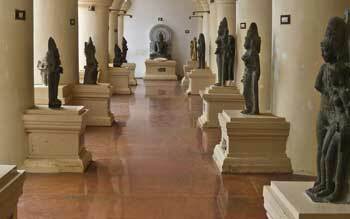 Dig deep into the age old culture of Madurai City. This is the second largest city in Tamil Nadu and home to Sri Meenakshi Temple - one of the most ornate shrines of South India and a living temple attended by thousands of devotees daily. 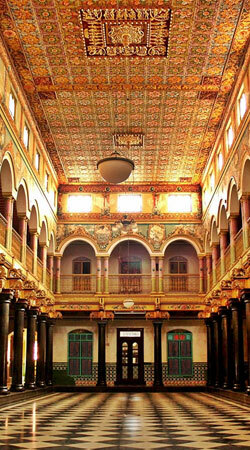 Other highlights of Madurai include the ornate Nayak Palace, bustling markets and numerous small temples. 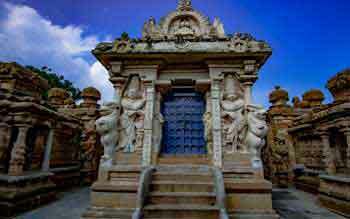 A walk along the streets of Madurai city would expose you to the some “never seen before” sights of Tamilnadu. The southern - most tip of the Indian sub - continent is a point of pilgrimage for devotees wanting to bathe in the confluence of the 3 major oceans. Vivekananda and Gandhi also visited here and memorials are built to remember their great contributions to the nation. While the accommodation is limited, there is a great sense of being involved with the crowds of locals who come to witness the sunset and sunrise, acknowledging the cycle of endings and new beginnings. This small Union Territory on the coast, surrounded by Tamil Nadu, was in olden days ruled by the French. Their influence can be clearly seen in the architecture, the running of the city and ‘feel’ of the place. One of the main focuses within the French Quarter is the Aurobindo Ashram. The Ashram community is not separated from the rest of the town and many locals are also employed, contributing to a sense of gainful activity in the streets.There are a number of heritage buildings and temples, churches and mosques to visit. With its strong European influences, there are fine cafes and eateries including some high quality restaurants with unique menus offering a creative mix of French and Indian dishes.